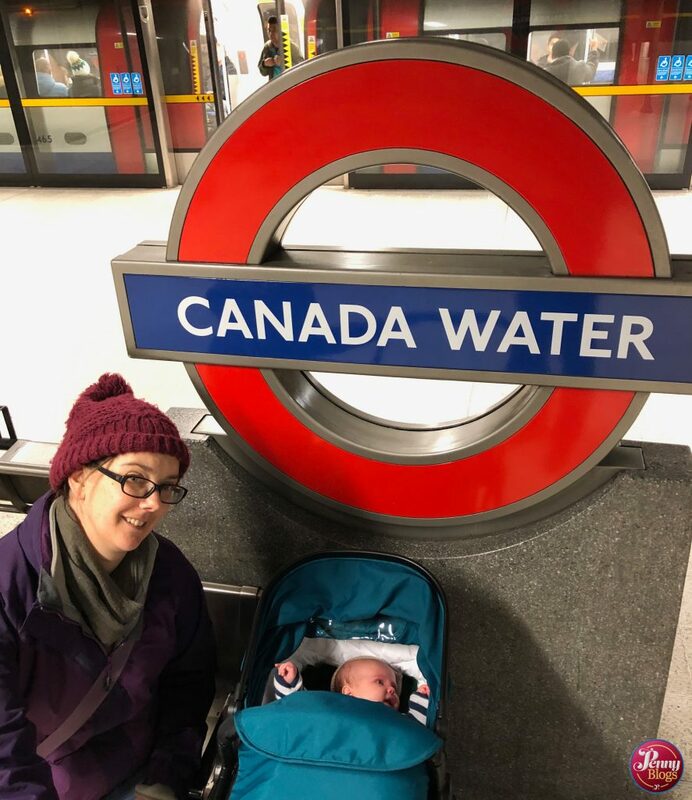 Waterloo is the first of our tube stops that we technically have “done”, but have in reality no way “done”. Let me explain what I mean. Tube baby has been to Waterloo. We arrived there on foot after a walk along the South Bank and we even stopped for a coffee and sandwich (and her some milk) at the Costa on the concourse. But, at the same time I feel like we haven’t even really scratched the surface at Waterloo, and we really need to go back there and do the station justice. I know we are visiting tube stations here, but in the cases where the tube stop is at a mainline station I don’t really think you can ignore the mainline station. Especially when, as is the case with Waterloo, you’re talking about the busiest national rail station in the UK. Our visit just involved a trip down to the Jubilee Line where we then took the line east, along which I still refer to as the Jubilee Line Extension, in the direction of Stratford. Before heading underground we did take a quick look at the work being done where the old Eurostar platform were there, but at that stage we were all hungry and it was only a very quick look over the barriers. I’d really like to go back and look properly. Try to understand what has been done, compared to what was there when I last took the Eurostar from there to Paris. Look at some of the history of the station and the old architecture that has been incorporated into the current station design and layout. 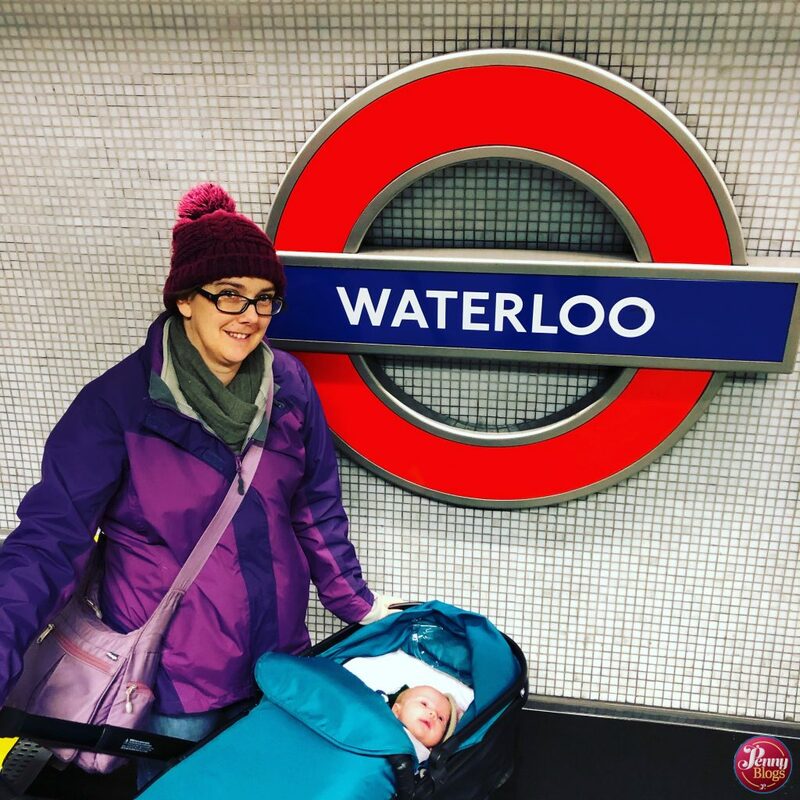 Waterloo actually has the Bakerloo and Northern lines running through its underground station, in addition to the Jubilee. There’s also a certain tube line that terminates there that I want to travel along. The only one I haven’t yet been on. The Waterloo and City Line. For that reason alone there will be a return trip to Waterloo as part of this challenge. 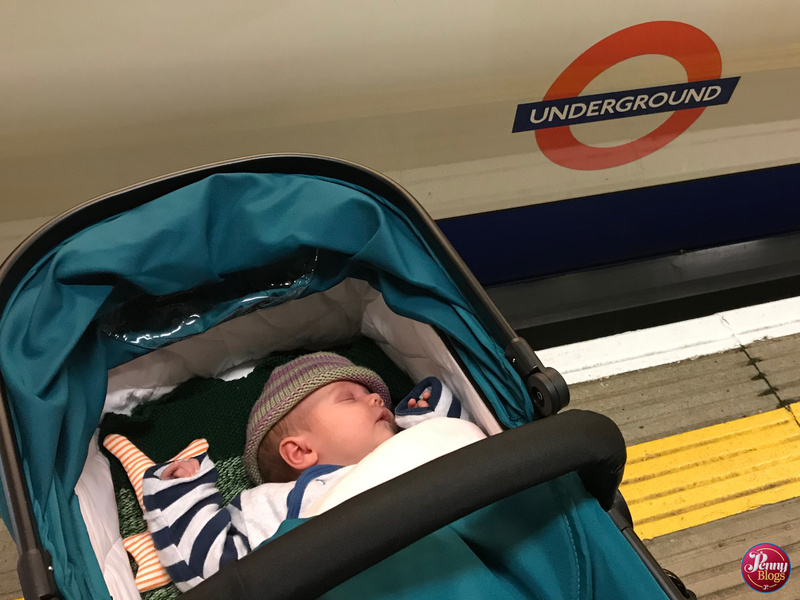 After kicking off the Tube Stop Baby challenge at Watford we took a short trip down the Met line to Pinner in Zone 5. Eventually we’ll go to every station along the Met, but on this particular day time was limited and we just wanted somewhere for a short wander round and a cuppa. Having been to Pinner before I knew that the Main Street being just a stone’s throw from the station meant that this would meet our needs. 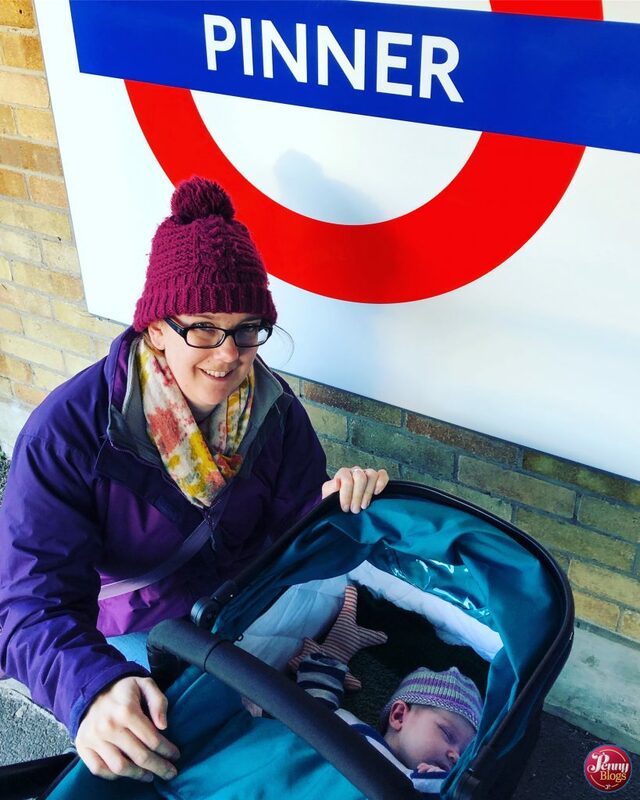 The fact that there is a lift up to the footbridge making the station accessible with Tube Baby’s pram was an added bonus. Pinner station was part of the tube’s expansion into the surrounding countryside in what was known as MetroLand. Nowadays it’s part of the London Borough of Harrow. Certainly when you get off the tube there you don’t feel at all like you’re in London. The station’s a bit tucked away behind Sainsburys, but when you head out onto the street there’s much more an old fashioned village feel to the place. When we visited everywhere was decked out in Christmas lights (which stupidly we forgot to photograph!) which added to the charm. If you’re ever planning to visit Pinner one thing you need to watch is the fact that in the peak hour trains run “fast” between Moor Park and Harrow-on-the-Hill meaning that they don’t stop at Pinner, or other intermediate stations. 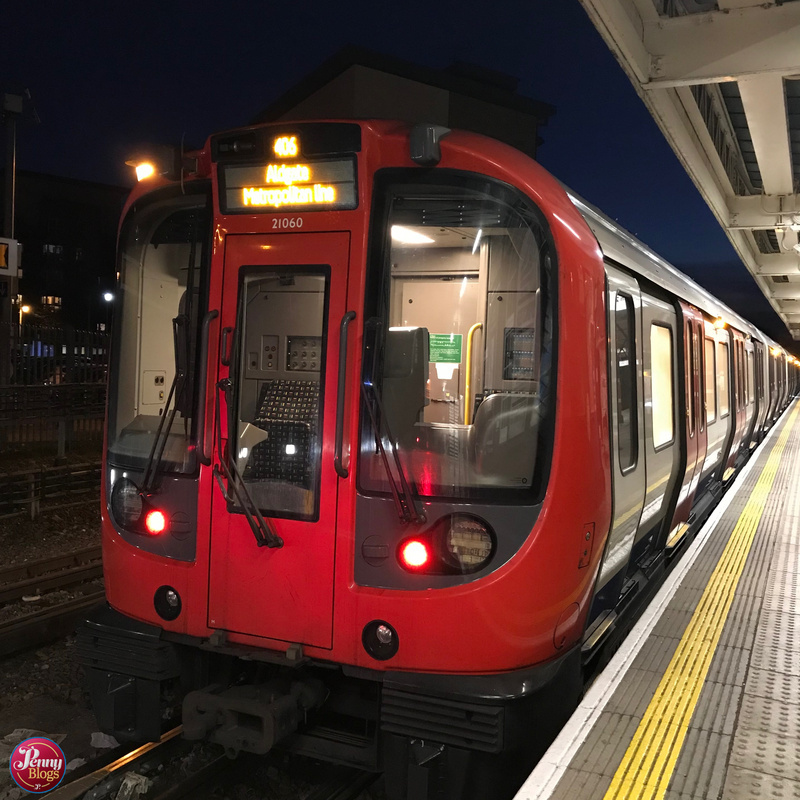 The Metropolitan Line is the only one on the London Underground to run “express” services like these, with some services also missing out Wembley Park, Preston Road and Northwick Park at certain times of the day. 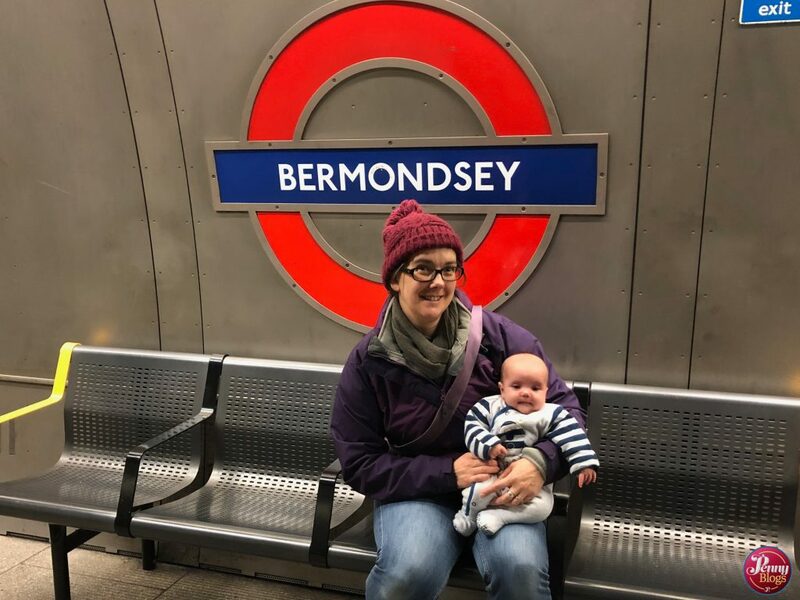 As someone who has once lived at one of these stations, it’s a quirk you quickly get used to, but one that catches other less frequent travellers out a lot! 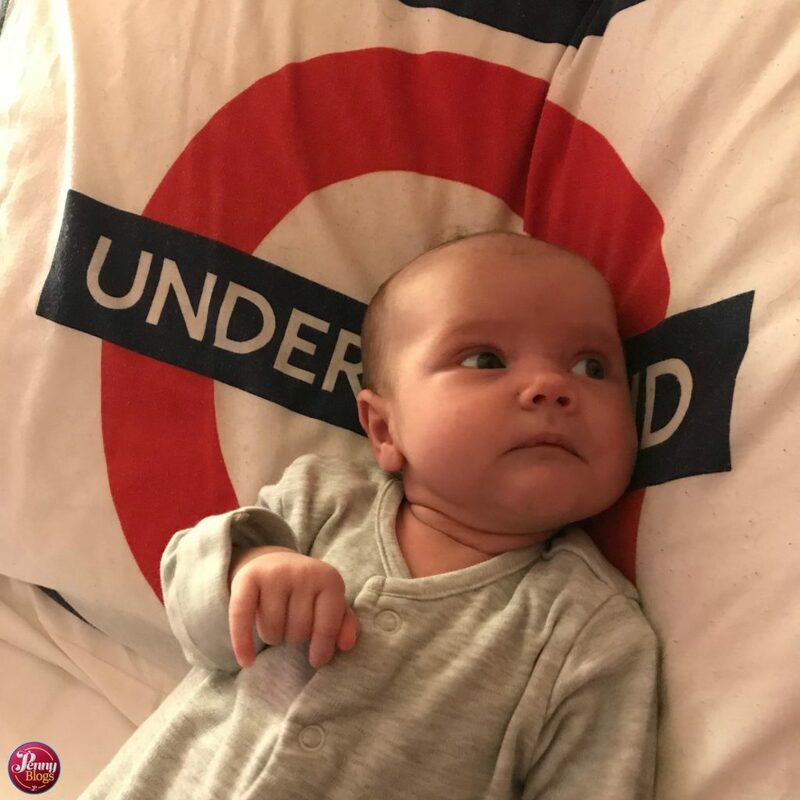 Our Tube Stop Baby challenge ended up starting at our “local” Underground station – Watford. 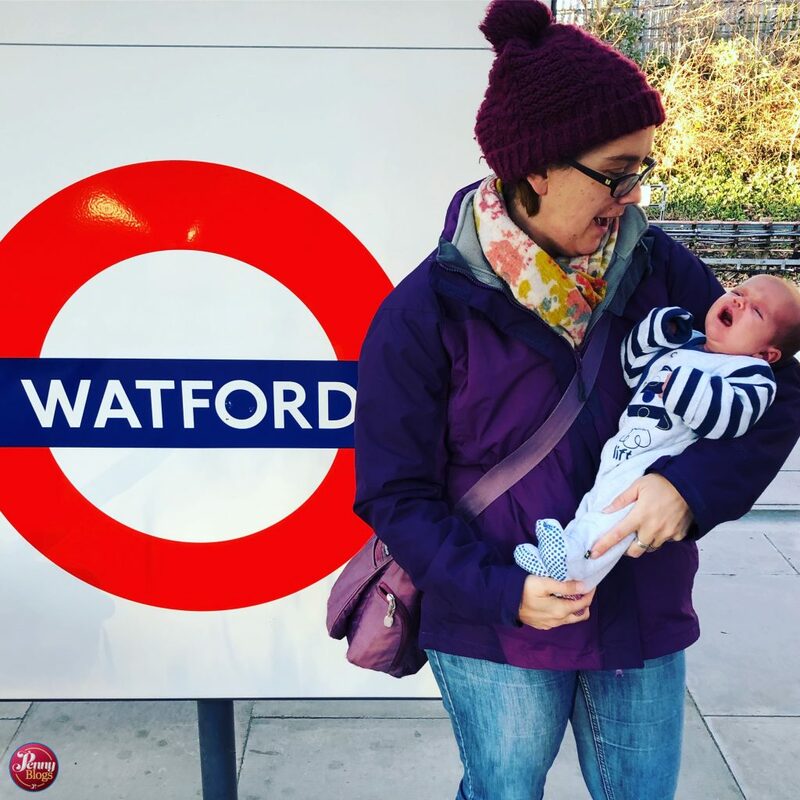 It comes as a bit of a surprise to some people to discover that Watford is on the tube, but it very much is. Even if it is right at the top end of the Metropolitan Line where most regular tube users don’t venture. The expansion of the Met Line into Herfordshire and beyond (at one point it went as far as Verney Junction which is an incredibly 50 miles from Baker Street!) was part of a huge campaign to encourage people to move out of London into the surrounding countryside (named Metro-Land), whilst still commuting into the capital. Now, one of three northern termini (along with Amersham and Chesham) Watford is actually quite a quiet and sleepy station compared to many, and is located in a residential part of the town, close to the wonderful Cassiobury Park. Watford station has been under threat of closure now for quite a while due to plans for an expansion of the line from Croxley to Watford Junction. For years people have wanted an underground station closer to the centre of the town (at the moment is is served by National Rail stations at Watford Junction and Watford High Street), but these plans keep getting pushed back due to funding issues and at the time of writing no one seems to know what is really happening with the plans. For us though Watford is a convenient place to start our journey, and a lovely Arts and Crafts style station (designed by the Metropolitan Railway’s architect Charles Walter Clark who was responsible for 25 stations on the line in total). It may be quiet but there’s something rather quaint and lovely about it too.